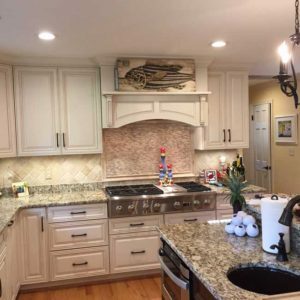 Certified Kitchen Designers (CKDs) specialize in the design, planning and execution of kitchens, bathroom vanities and other built-in units throughout the home. Only a qualified group of expert designers attain the CKD designation(s). CKDs while an integral part of the interior design profession, are also distinctly different because of their specialization of practice. Similar to general interior design practitioners, CKDs must meet common core educational requirements, adhere to various legal restrictions and regulations in practice, and follow a professional code of ethics. However, beyond the basic core commonalities, distinct differences exist because of the nature of the space to be designed. The planning of kitchen space requires unique design skills and knowledge because of the highly technical nature of the equipment incorporated into them, and the personal way that this environment affects the user. The CKD is competent beyond the minimum interior design qualifications of federal and state (provincial) legal codes and requirements. CKDs provide advanced knowledge of technical and personal communication skills required to succeed as a design specialist in residential kitchen, bathroom and other built-in environments. With over 50 years of combined experience, our design staff will make your dream kitchen become a reality. Whether you envision a traditional style kitchen, or a more contemporary design, we can let you really “see” your kitchen. Different perspective views will allow you to ensure the final design is what you want. “What ifs” are not a problem for us. What if the frig were on that wall? What if we make the island bigger? All these questions and more are easily answered.